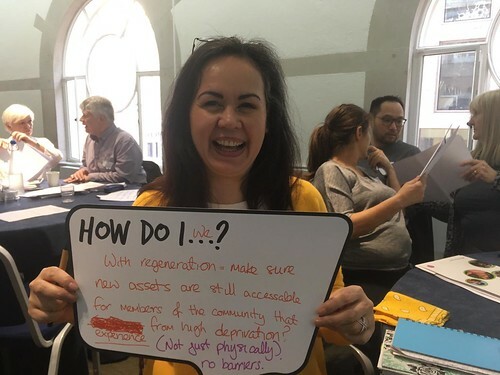 Our research, carried out by the Institute for Voluntary Action Research, asks 'What needs to happen for communities to feel and be more powerful in future?'. Read the report and watch the film featuring 3 Big Local areas: Brinnington, Keighley and Kingswood and Hazel Leys. Matt Leach, Local Trust chief executive, reveals why he thinks Big Local Connects, our biggest gathering of Big Local areas, was such a positive celebration of creativity, engagement and connection. Read Matt's blog. Jazz, 17, shares how Ewanrigg Big Local are helping young people to fill a gap in access to mental health support. Read Jazz's blog. We're reviewing our website - but we can't do it without you. We’d love to know your views, whatever they may be, so you can either let us know through the feedback button at the top of every page on the or get in touch by email.